ShadowBet is a casino that gets very good reviews. One can say that it is a top-rated casino. We on NetEntCasinoNoDepositBonus got curious and tested this well-reputated gaming portal. When we heard that the company behind ShadowBet is MT SecureTrade ltd we got eased, because the casino is a bit mysterious and shady. Mt SecureTrade ltd is behind top-casinos like, Rizk, Cashmio and Dunder Casino. ShadowBet was launched in 2016. The frontperson of the casino is the mysterious boss Mr Jack Pot. He will follow you through your adventures in the casino and provide you with a “juicy” Welcome Bonus and freespins. The design is in black and yellow. It is easy to navigate and find what you are searching for. They have a lot of different slots (over 1000 games) and game providers, in the menu you will also find the live casino section and a section with jackpot games (if you want to win big money). They also have an area with boardgames. 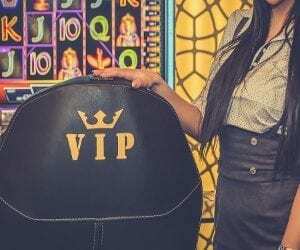 They have a variety of promotions, sometimes you can win trips and bonuses and sometimes there are lists with rankings, so the best players get rewarded with freespins and other bonuses. You earn points while playing and you can reach different levels. For each new level you reach, you get a spin on ShadowBets own game, Ouroboros. It’s a strange game, it said it was created 100 years ago. You can win No Deposit Freespins and money in the game. A fun thing with Ouroboros is that you can double or lose your winnings, if you dare. It is possible to try Ouroboros without registering, just click on the reward in the reward section and the game will open. The reward section is, up in the right corner on the dashboard. Click on it and choose OUROBOROS! It is not our favorite casino but it’s a very good casino with strong licensing an, UKGC and a MGA license. Good luck with Ouroboros and double your winnings if you dare! Jack Pot (the boss) approaches players and discusses personalized offers with them. They have scratch cards, bingo and arcade games. 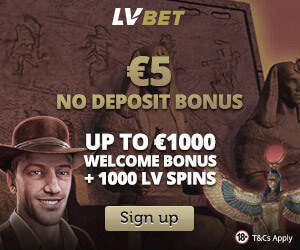 – Make your 1st deposit & get 100 Extra Spins (20 daily for 5 days in a row). 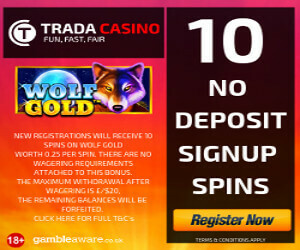 – Make your 2nd deposit & get a reload bonus of 100% (up to £100). 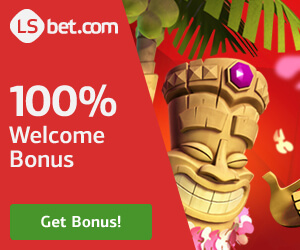 NEW PLAYERS ONLY, MIN DEPOSIT €10, 1ST DEPOSIT: 100% BONUS UP TO €100 & 20 FREE SPINS DAILY FOR 5 DAYS IN A ROW, FIRST DEPOSIT + BONUS FUNDS MUST BE WAGERED 35x (GAME WEIGHTING APPLIES). Until the wagering requirements have been met, the maximum bet that can be placed is £2. Wagering requirement is not being met on the following games: Dead or Alive, Jackpot 6000, Lucky 8 Line, Tower Quest, Blood Suckers, Pearls of India, Hidden Valley, 1429 Uncharted Seas, The Wish Master, Kings of Chicago, Castle Builder, Go Bananas, Subtopia, Cashapillar, Simsalabim, Zombies, Dragon Island, Robin Hood, Demolition Squad, Greedy Goblins, Supernova.